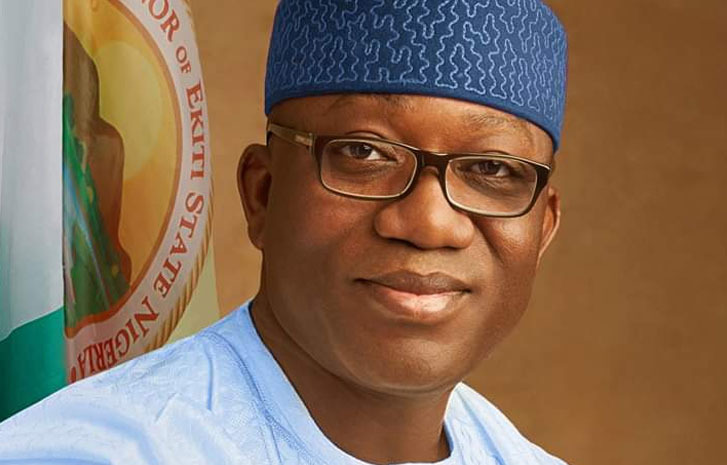 ADO-EKITI – Governor Kayode Fayemi of Ekiti State has approved the monthly release of N100 million to clear accumulated gratuities of retired workers in the state. Similarly, the governor also approved the payment of salaries of former lawmakers in Ekiti owed by former governor Ayo Fayose. The governor had last month approved a 100 per cent increase in monthly gratuity payment from N10 million to N20 million. However, taking into consideration the current plight of many retired workers, who could not access their gratuity several years after their retirement owing to the paltry amount for gratuity payment, Fayemi directed the Ministry of Finance to increase the monthly gratuity payment to N100 million per month. This was the amount paid per month during his first term. According to a statement by the chief press secretary to the governor, Mr Yinka Oyebode, the directive took immediate effect pending the time the state government would be able to find a creative approach to resolve the huge outstanding gratuity obligations of the state. In a related development, Fayemi has also approved the payment of severance allowances and outstanding salaries of 19 former members of the Ekiti State House of Assembly and their aides, who were denied their entitlement by the immediate past administration of Fayose.